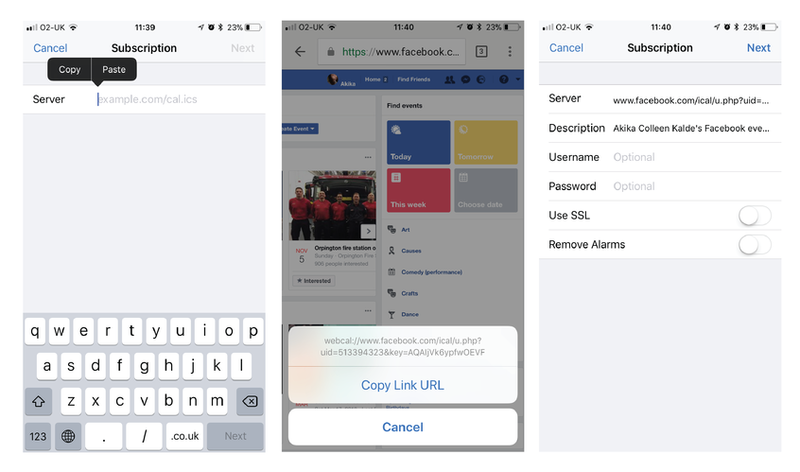 Since Apple released iOS 11 a couple of our users on Countdownplus have been messaging us on Facebook saying that they cannot see any calendar options in the Facebook section of their iPhone settings. This is because Apple removed direct Facebook and Twitter integration on iOS 11. 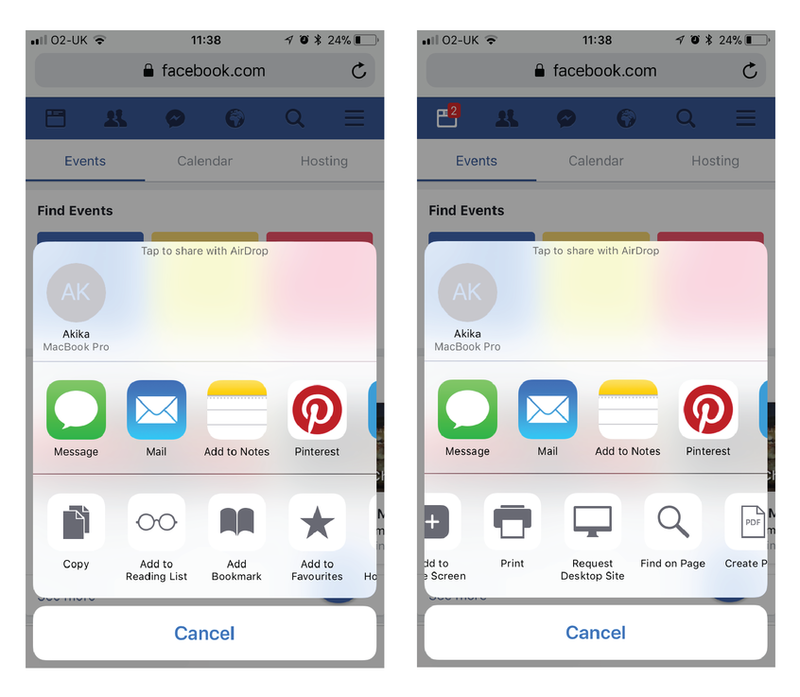 We wanted to share with you how to add Facebook events back to your iPhone on iOS 11. The only way to add Facebook Events back to your calendar and for the app is to subscribe to the calendar. On your iPhone click on this link, then you will most likely see the mobile version of the site. You need to request the desktop site, for Google Chrome you can find this option under the three dots, Request Desktop Site. For Safari, you can find this option under the share button, scroll across to find Request Desktop Site. Then in the lower right-hand corner, you will need zoom in to find this option. 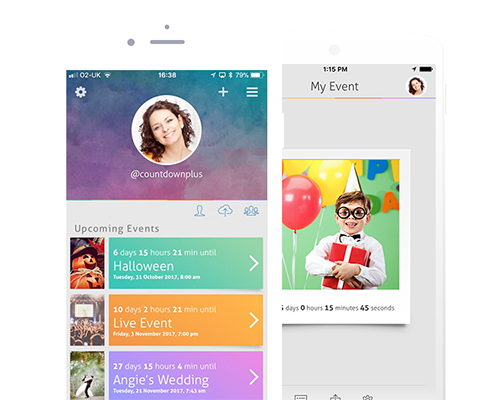 Tap on Upcoming Events and Birthdays. You will see a pop up telling you if you already have it or not. Just follow the on-screen instructions. Alternatively, you can copy the Upcoming Events and Birthdays link, and go to your Settings-Accounts & Passwords-Add Account-Other-Add Subscribed Calendar. Then paste the link to the calendar in the Server section. Tap next and then tap Save. 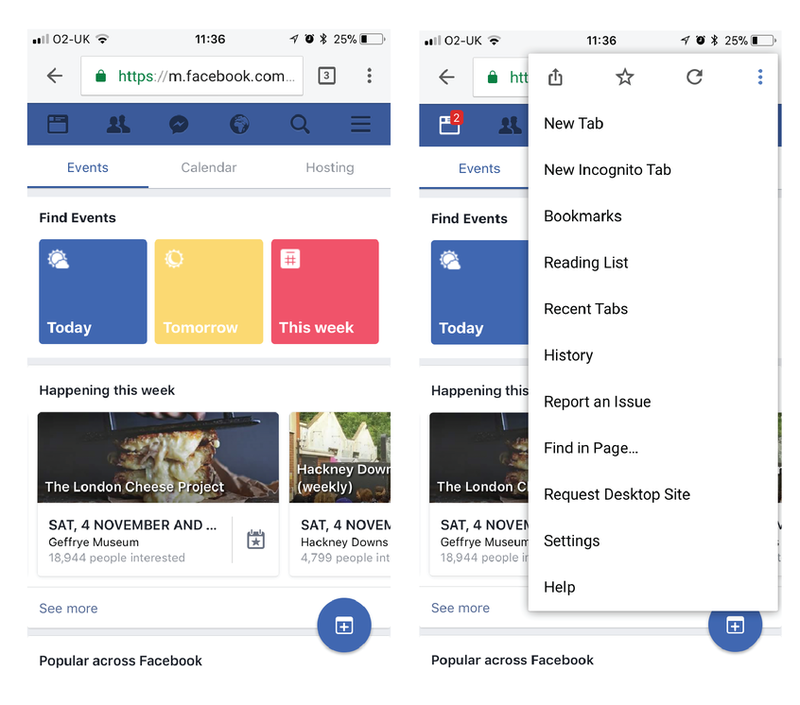 We hope this helped you add your Facebook Events back to your iPhone calendar and the app, if you have any questions about the app then message us on Facebook.